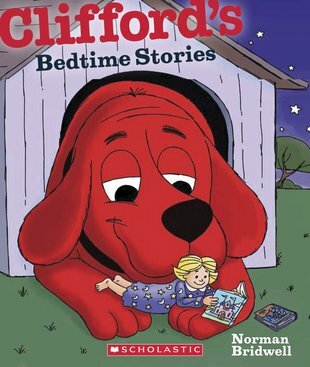 Join Emily Elisabeth as she tries to get Clifford the Big Red Dog ready for bed. It sure is one BIG job! She has to wash him in the pool, brush his hair with a rake and clean his teeth with a mammoth-sized brush. After all of that hard work, Emily Elisabeth is pretty sleepy herself, so it’s time for the two best friends to read Clifford’s favourite bedtime story and head for bed. Experience night time nonsense like never before with the biggest and best way to end the day.